Solid airs: unplugged hits and rarities amplify jazz-folkie’s human side. By Jim Wirth. Raised in relatively genteel circumstances by his father and grandmother after his parents split while he was a child, the artist formerly known as Iain McGeachy spent time with his mother in southern England – explaining his penchant for between-song accent switching, gentle Glasgow to convincing Cockney. A keen school rugby player, his academic aspirations were knocked off course by exposure to Joan Baez and guitar maestro Davy Graham. He chased his muse down to London in his late teens and skilful and charismatic had a contract with Island within weeks. Unfettered, Martyn found his increasingly alpha-male groove on 1971’s Bless The Weather and 1973’s Solid Air, his effects-pedal experiments creating the Echoplex fog that hung over some of his most celebrated works. His extended musical bromance with double-bass maestro Danny Thompson also coincided with the gradual erosion of Martyn’s consonants. However, while the groans and growls in his new musical language sought to blur his lyrics, decluttered versions of some of his peak period works here cast a colder light on the drives that sustained Martyn. Frequently playing away from home in both senses – Martyn’s songs sought salvation in some mythical family life. “Making the bread, going mad in the head/l know when I’m going too far,” he sings, road-weary on the gaunt “Fine Lines”. “I want to get back, want to take up the slack/Get where the good times are. “However, the joyful “Over The Hill” a wide-eyed rhapsody celebrating coming home to his young family in Hastings is a notable warning sign, drug use intruding gauchely into the domestic bliss: “Can’t get enough of sweet cocaine/Get enough of Mary Jane,” he burbles cheerily. The fiend and the family man do battle in a rare trad arr, “Spencer The Rover” this lovely version culled from a Peel Session which ends with the inveterate roamer in the arms of his loved ones “contented he’ll remain and not ramble away”. However, Martyn’s real instincts were for unsettling rather than settling, guttural drunk’s lament “Make No Mistake” this version culled from a 1973 Bob Harris show a self-portrait of a man increasingly defined by selfish habits (“If I can’t get everything l want, I’ll just get what l can”). In life as in art, Martyn never knew quite where to stop, the fact that he lived as long as 60 years – dying in January 2009 – regarded as a minor miracle by his contemporaries. 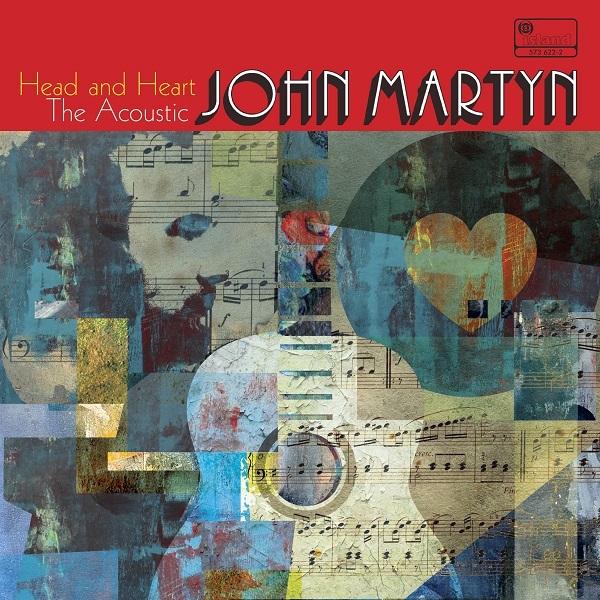 Beverley Martyn called him “Luciferian”, but if Head And Heart cannot redeem Martyn, these acoustic readings at least bring his creative virtues into clearer focus. Good but bad. Bad but good. John Martyn was an inventive, erratic genius, a one-time folk hero who became influenced by everything from funk to reggae to pop. This extensive 18-disc set covers his glory years with Island Records, and includes all his studio albums from 1967-1987, but it is notable for its wealth of previously unreleased material, including the original recording of The Apprentice, an album that Island scrapped. It includes a pleasantly funky treatment of The River, along with some forgettable pop balladry. Martyn was at his best playing live, as shown by two remarkable unreleased concert performances. He shows off his humour and an early version of Bless the Weather (a song that appears seven times here) at a London club in 1972 and is in classic form playing in Australia in 1977, veering from experimental electric guitar work to a gently exquisite treatment of the traditional Spencer the Rover. Devotees will not be disappointed. Last year, Universal put out a fantastic 18 disc box set that contained pretty much everything the Scottish troubadour John Martyn released for Island Records between 1967 and ’87. It was a phenomenal achievement, tracing his evolution from the young folkie of London Conversation to the sensitive artist of Sunday’s Child, from the genre hopping muso of One World to the troubled alcoholic of Grace And Danger. 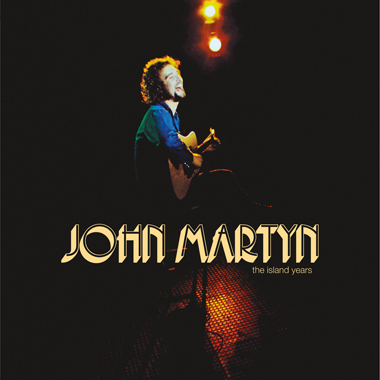 Squeezing even more juice from Martyn now comes this four disc collection confusingly called The Best Of The Island Years, but which actually contains a series of alternate takes, unreleased songs and live performances culled from the original 18-disc set. This is not a collection for the neophyte Martyn listener; there are plenty of other Martyn comps that can truly be called a Best Of whilst I would personally suggest bypassing the comps and starting off with the albums London Conversation, Bless The Weather, Solid Air and Stormbringer! (recorded with then wife Beverley Martyn). Instead, this collection is for those already au fait with Martyn’s work, who possibly don’t want to shell out a couple of hundred quid for the original box set (it doesn’t contain every unreleased song from the box set by any means, but it’s enough to give one a flavour of the extras contained within). There are 61 tracks here, and particular highlights include alternate takes of ‘May You Never’ from Solid Air and ‘Couldn’t Love You More’ from One World, live versions of ‘Spencer the Rover’ and `John Wayne’ and unreleased tracks including a rollicking cover of ‘Hi Heel Sneakers’. So is it worth your money? Well, there’s a whiff of cash-in to the release, an attempt to cream off more moolah from Martyn completists, especially as this new compilation includes photos and memorabilia that weren’t even included in the supposedly definitive set from last year. Still, the music inside is brilliant – of course it is; even John Martyn’s off-cuts are worth more than you average musician’s best work. So whilst this might be designed for the person who simply has to own everything in Martyn’s canon, the contents are beautiful, no matter how well you know his music already. Note: The article is inaccurate in that there are 56 tracks and there are no additional photos and memorabilia. If you have the 18 disc box there is nothing new in this release. London Conversation Vinyl Release 21st July 2014. A teenage greenhorn lays the foundation of Island’s folk-rock village. By Jim Irvin. Debut albums can be a mixed blessing, perhaps a tentative wave hello, a flood of suppressed creative outpourings, or a clearing house for childish guff. They’re most fascinating when they wrong-foot posterity. Who could have extrapolated Radiohead’s In Rainbows from Pablo Honey or Tom Waits’ Mule Variations from Closing Time? 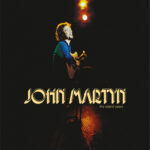 Solidly in that subset lies John Martyn’s London Conversation, now back on vinyl (Universal ***). ILP 952, issued in October 1967, was the first release on the new pink Island label, marking the company’s shift from its reggae origins. It’s a jejeune thing – cut, so they say, in a couple of evenings for £158 – that bears almost no resemblance to his mature work, not in the sound or swing of the playing, the tone of his voice or the acuity of the writing. And the whiff of childish guff is strong on opening song Fairy Tale Lullaby where Martyn assures his listener he will “take you where the goblins are all good.” Utilising just his voice – Scottish accent discernible, prime tone still being sought, folksy inflections being leant on – and solo acoustic finger-style guitar, (apart from Rolling Home where he plunks a sitar and blows a recorder), London Conversation’s tiny budget is audible, though probably essential for the nascent label. This modest, dated but still engaging record seems more significant in hindsight than its negligible impact at the time would suggest. It lit the way for Island’s future singer-songwriter endeavours – you can sense Nick Drake and Cat Stevens warming up in the background, though their debuts for the label are years in the future – and the coming of folk-rock. Talking of which, also returning on vinyl this month, Fairport Convention’s rural-electric keystone, Liege & Lief (****), a record I’ve always thought rather over-regarded when compared to its brave, if less tightly focused, predecessor Unhalfbricking. 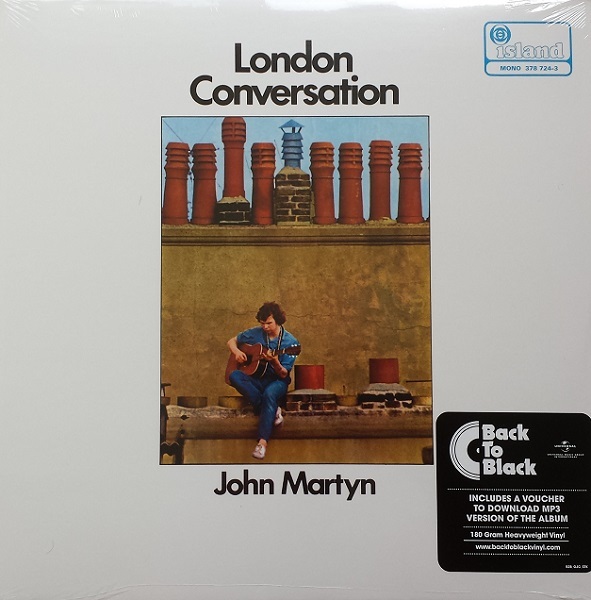 Also out again: Sandy Denny’s subsequent, flawed, but occasionally breathtaking solo debut, The North Star Grassman And The Ravens (***), overseen by Fairport colleague Richard Thompson and Richard and Linda Thompson’s bow as a couple, I Want To See The Bright Lights Tonight (****), a terrifically assured work that’s surely in the ‘flood of creative outpouring’ category of debuts. By the time that arrived, in 1974, Martyn had already sailed into outer space. To whom do you recommend, with a straight face, an 18-disc box set? “Everyone”. Okay, thanks, that was easy. Seriously, though, the truly-beyond-brilliant Mr lain McGeachy has historically gotten the short end of the stick when people speak of the British Folk Boom of the late ’60s and early ’70s. Nick Drake casts a very long shadow, and not just because of his imposing height. Martyn, were he here, would suggest that that is fair and just. I say no. I idolise Drake, yet I cannot think of him without thinking of John Martyn, and vice versa, even though their individual styles were very different. An 18-disc-high monument to a unique artist. Could you love him £160 more? Asks Mat Snow. John Martyn is an artist who fully deserves a monument. This box set looks like a monument. It weighs in at a monumental 17 CDs plus a very long live DVD. And it carries a monumental price tag to match, around £160. So how could a box containing so many hours of beautiful, moving music still amount to a bodge? Seldom has there been a more musically benign relationship between label and artist than Island and John Martyn, who it signed as their first white artist in 1967. For years John was enabled to record what he wanted, and in return for nurturing genius Island were provided with a sequence of acclaimed albums which have sold solidly for decades, adding lustre to its reputation as the artist’s label par excellence. But with founder Chris Blackwell’s disengagement from the label, now owned by Universal, Island is in the business of fracking its cult artist catalogue to mine deep into the pockets of diehard fans. By my calculation, any fan committed enough to purchase this box will already own seven full-length CDs’ worth of its material. Nor is that all. 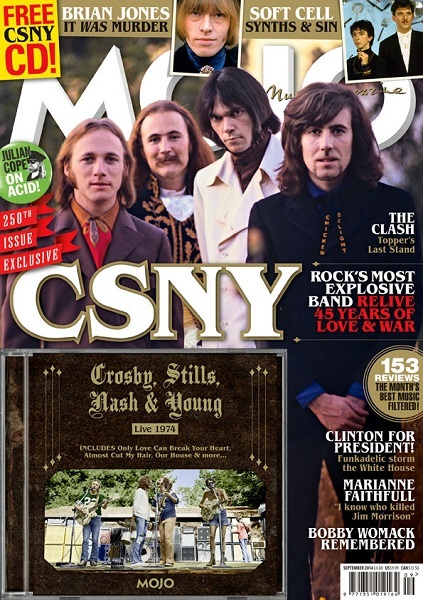 The Island Years supersedes neither the existing Deluxe and other bonus-tracked re-releases of the classic albums nor 2008’s Ain’t No Saint 4-CD box. We are treated to a whole new bunch of alternate takes and live performances on top of those we already own, which, of course, are on top of the original album tracks re-released here. One suspects there is even more unheard material in the vaults awaiting release in Super deluxe editions of those original albums after a decent interval. On top of everything else, John Martyn fans will need to put up a new shelf. It doesn’t have to be this way. John Martyn’s early idol Bob Dylan’s Bootleg Series of deep cuts from the vault runs without overlaps in parallel with the remastered re-releases of the original classics, and — save for the grotesque, punitive and insultingly exploitative pricing of the Deluxe as distinct from the standard edition — is a model of how to respect both the artist and the fans. Back to The Island Years: what’s new for your money? First, those alternate takes. How many studio takes of the One World song Couldn’t Love You More do you need? For a song as intensely beautiful as that, how many have you got? Adding two more to the one you already own plus the live account found on the 2004 Deluxe re-release, we now have four versions, which I guarantee fans will listen to with rapt fascination rather than merely gloat over in the miserly satisfaction of a completist’s job well done. If the downside of a classic album is that over familiarity can dull appreciation through repetition, an outtake with even the tiniest differences to the version you know, love, and no longer really listen to, can defamiliarise the song and make you hear it afresh, almost as if new born. With John Martyn’s new songs usually road-tested before hitting the studio, there is seldom a radical difference between one take and another, the “sweet cocaine” of the canonical version of Over The Hill rather than the rejected “dry champagne” being one notable exception. Another is an alternate take of an outtake of a song which never made the final cut of 1977’s One World: familiar from the Deluxe edition at six minutes, Black Man At The Shoulder looms within this box as an unearthed monument in its own right, 17 minutes of mesmerising, mind-blowing, dub-trip bliss that rivals the 19-minute live Outside In, with bassist Danny Thompson and drummer John Stevens, restored from the original 1975 Live At Leeds album, as John Martyn’s psychedelic masterpiece, his Dark Star. What made John so personally self-destructive is what also made him such a great artist: he was never less than full-on. Lack of commitment in his performance is never the reason a take wouldn’t make the cut. Couldn’t Love You More’s two studio outtakes here are among many rejects perhaps decided on the toss of a coin. 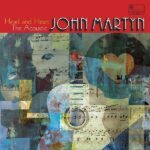 There are scores more here that re-impress upon you the essence of John Martyn’s artistry: an intensity of emotional expression possessed by only the greats, whether Lennon or Hendrix, Otis or Nina. So is The Island Years a whole-career survey? No. From his fledgling years as a highly proficient Rainbow-Chasing Sid Rumpo, through the patchily excellent albums recorded with his wife Beverley, to his talent’s full flowering from 1971’s Bless The Weather and 1980’s ‘divorce’ album Grace And Danger, the sequence of greatness is unbroken. And if 1975’s Sunday’s Child is clearly less great than 1973’s Solid Air, that is only because he was easing off rather than had mislaid his mojo. From 1981 Martyn recorded for other labels, but the three studio albums he made upon his return to Island exemplify the common syndrome of a baby-boom artist losing his way in the yuppie era of digital recording and emollient, synth-rich, jazz-rock-lite. Of the three-hour-25-mins live DVD, the half that documents performances for BBC TV up to 1981 is riveting; in the 1986 show which comprises the second half, John Martyn the singer never lets us down, but his new songs seldom reach the heights, and the band lacks soul. Had The Island Years ended in 1981, it would have gained vastly in consistent pleasure and lost little of value in a project which, for want of material licensed from other labels, falls far short of completeness anyway. However, if one can bear the canonical duplicates, the seldom played discs, and, above all, the cost, this is a box no John Martyn fan can do without.